File photograph of Boracay’s famous white-sand beach before the island was closed for environmental rehabilitation in April. A member of the team tasked with cleaning up Boracay has told a Senate inquiry that the island could be ready for a ‘soft opening’ in September. 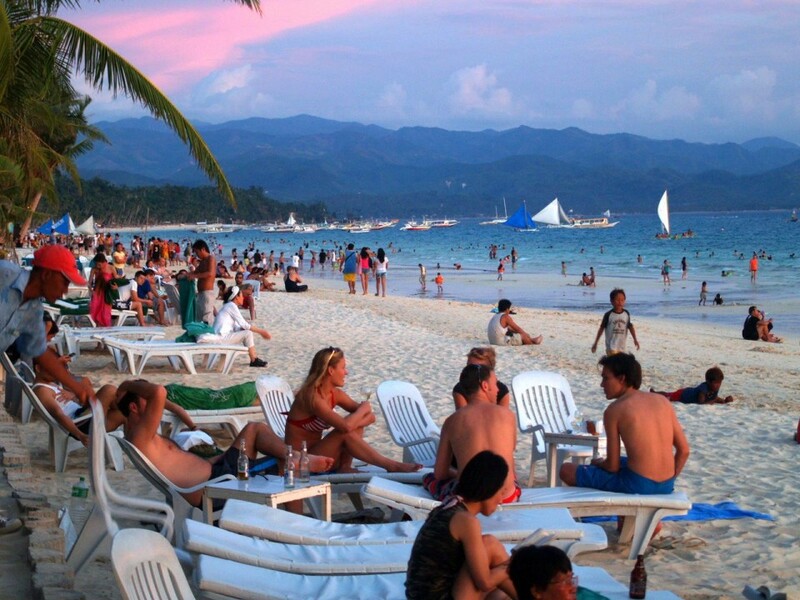 Boracay was closed to visitors on April 26 for six months of ‘environmental rehabilitation’ work. The decision came after President Duterte described the famous white-sand resort as a “cesspool”. Senator Cynthia Villar, chairman of the environment and natural resources committee, expressed doubt that the conditions for a soft opening could be met. “With the conditions, I don’t think you can do it,” she said. Minority Leader Franklin Drilon asked if the task force was really imposing the conditions. “Is that realistic? Are those conditions the minimum that we should have in order to alleviate and to prevent further deterioration of Boracay,” he said. However, Aklan Governor Florencio Miraflores has expressed satisfaction with the rehabilitation work. “As far as rehabilitation is concerned, we have been working closely with Environment Secretary Roy Cimatu and we’re happy with what is happening now on the ground,” he said. He said that as of yesterday, only one part of the island had failed to pass the water quality standard. “Where before many parts of the island were not able to pass the water quality standards, as of yesterday when we had inter-agency meeting, only one portion of the island, that is on the back side of the island, Tulubhan side, is not passing the grade,” he said.